You might recognise this from shopping in Lidl. 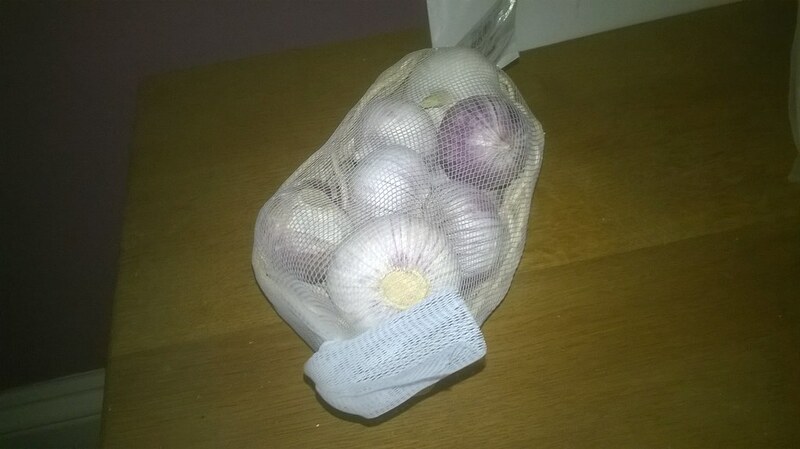 It is a little basket of garlic bulbs, but instead of bulbs that consist of a dozen or so cloves we have a single clove instead. What is this madness?